← Tool For Tuesday. Nobody Can Read Your Mind. Ask For Help. You can’t hear my heart pounding furiously nor can you see my knees shaking right before we took off for Alaska. I could have spent time wishing I could change their minds, or wishing the publishing world were different. But instead, I started action. My agent was unable to sell the book. Wah! Bad things do happen to good people. Sometimes no things happen to good people. And sometimes writers have to enter into self-publishing. At first, I thought I’d go with a small publishing company and have them handle my book. They offered to upload it onto amazon.com, to make a cover, to handle the sales and help me with my own marketing. But Bill Quain then talked some sense into me. Bill pointed out the power of word of mouth…and good marketing…and those are things that authors have to do themselves. Meanwhile, though, I’ve learned so much. Here’s to living our best chapter. Because we don’t have to give up our dreams. Remember: we don’t always get what we want, but we can still get almost what we want! Or something fresh and new, which opens another door. OR type a comment below. Even one syllable. The word “Oy” is not included, unless you’re from Finland because someone told me that “oy” means “Incorporated” in Finnish. (Is this true? Any Finnish aficionados out there?) 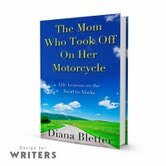 Comment and you can win your free copy of The Mom Who Took Off On Her Motorcycle. THE WINNER WILL BE ANNOUNCED ON FEBRUARY 19, 2013. Of course, you can also just save the tree and buy dozens of ebooks…that’s cool, too. 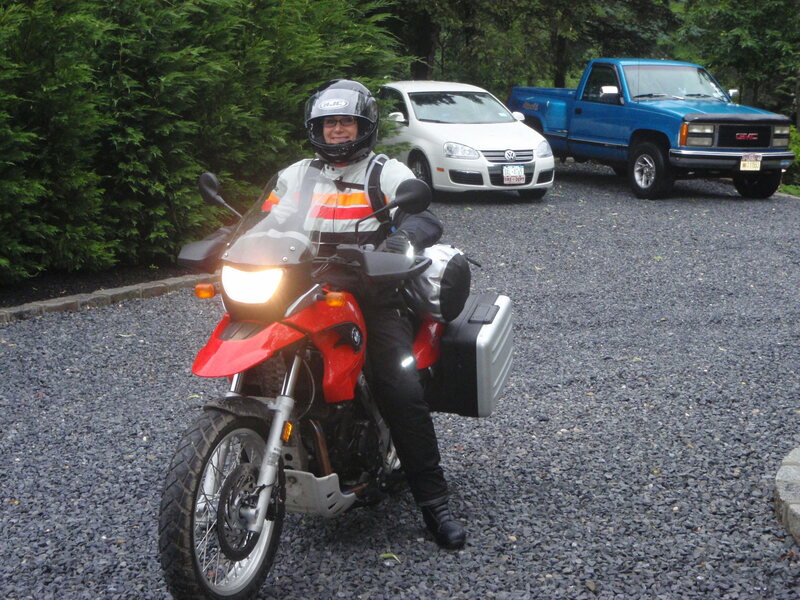 This entry was posted in Acceptance, self-printing, Uncategorized, Writers, Writing and tagged Amazon Kindle, Facebook features, Finland, Jewish Publication Society, Lori Grinker, Mom Who Took Off On Her Motorcycle, publish, self publish, The Invisible Thread, Twitter. Bookmark the permalink. 3 Responses to The Mom Who Took Off On Her Motorcycle About To Take Off! Wow, Marylin, thank you so much! Looking forward to hearing your comments! Enjoy the ride!